SATNAV. HEATED SEATS. AIR CONDITIONING. PANORAMIC SUNROOF. ALLOY WHEELS. BLUETOOTH. HEATED ELECTRIC MIRRORS. STOP/START ECO SYSTEM. iPOD and USB CONNECTIONS. LED DAY-RUNNING LIGHTS. *£0 ZERO TAX! * This is already the top spec model of the Smart ForTwo, but also has a further £900 of Extras on top! An absolute Gem! 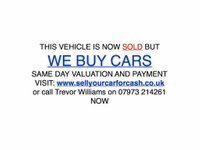 In fantastic condition with very low mileage. 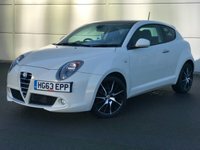 The local owners have just part exchanged with us for a newer car, so now is the chance for a new owner to inherit this fabulous high spec, low mileage, ultra-economical city car. Very competitive Zero-Deposit Finance packages available Extended Warranties Available. Part Exchange available. 5 Day Drive-away Insurance available. Live walk-around video available. Nationwide Delivery available. More images at our Website. Call now to arrange an early viewing and test drive.